Nystrom was founded in 1948 by James C. Nystrom as an independent representative for a variety of building product manufacturers. Nystrom’s history has since been one of firsts in the industry, from our marketing approach to manufacturing, all focused on simplifying and streamlining processes to serve customers. 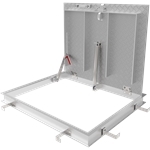 In 1989, Nystrom revolutionized access panel distribution, providing direct access for contractors and allowing them to get the right product, right to site. Nystrom was also an early adopter of the “Theory of Constraints” in manufacturing, doubling production while reducing inventory more than half and reducing manufacturing lead times from six weeks to one day. Nystrom has since continued the product line growth through acquisition, strategic partnering, and internal research and development to become the dominant U.S. player in commercial specialty building products with ten distinct product lines and a strong and growing international presence. 1948 Nystrom founded and incorporated by James C. Nystrom. The company's focus was as an independent representative for a number of building products manufacturers. 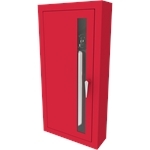 1958 The company began manufacturing metal casework for banks as well as lockers for schools. 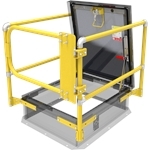 1965 The first access door manufactured by Nystrom rolled off the production line. 1972 Nystrom becomes one of the first manufacturers to receive Underwriters Laboratories (U.L.) 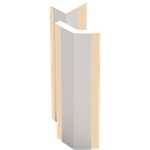 approval for its fire-rated wall access panel. 1985 Nystrom moves to new facility at 1701 Madison Street. James C. Nystrom passes away and his son, James T. Nystrom, takes over the business. 1989 Jim Nystrom moves the organization to a "factory direct" marketing approach. This runs contrary to how the entire industry markets and sets the foundation for the future. First company salespeople hired to sell access panels to contractors over the telephone. 1991 Nystrom surpasses $1 million in access panel sales. 1992 Through an OEM arrangement, Nystrom adds roof hatches and smoke vents to its product line. 1993 Nystrom implements "Theory of Constraints" in access panel manufacturing. Production increases from 250 units per day to 500. Lead-time drops from six weeks to just one day within five-month time frame. Nystrom implements a company-wide profit sharing plan. 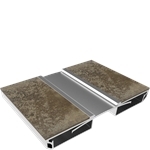 1994 Nystrom enters the floor hatch market with the first fire-rated floor door on the market. 1995 Nystrom surpasses $5 million in sales. Nystrom acquires Cesco Products of Brooklyn Park, a $10 million manufacturer of fire and smoke dampers, louvers, penthouses and access panels. 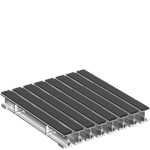 The union allows Nystrom to enter the louver marketplace with a Nystrom branded louver. 1997 Nystrom adds formal engineering capacity. 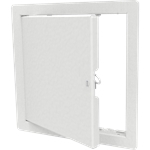 Nystrom begins to market the exterior access panel. 1998 Nystrom acquires Cierra products with $1.5 million in access panel sales as well as some louver business. 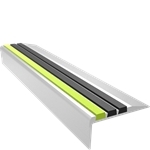 Nystrom acquires the assets of New Jersey-based D & B X-Pansion Joints, a manufacturer of surface mounted expansion joint covers. D&B moved to Minneapolis and re-branded as Nystrom Expansion Joints. 2000 Nystrom acquires the Airline Products brand name and begins to market louvers under that brand. 2008 Nystrom acquires Arden Architectural Specialties. 2012 Sue Thomas is named as new CEO with focus on enriching customer experience. 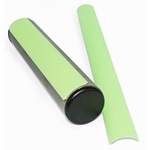 2014 Nystrom introduces the industry's highest rated Acoustical Smoke Vents. 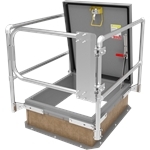 2015 Nystrom launches new Fall Protection product line with Rooftop and Weighted Base Guardrails. 2016 Nystrom purchases new equipment and increases production by 50%. 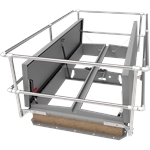 Redesigned Personnel series Roof Hatch tough enough for hurricanes, and introduces new SunLit eco Smoke Vent while expanding its Entrance Mats and Grilles product line.